It’s been awhile and I apologize for the lengthy hiatus! The last couple of months have been quite hectic for me job wise. I barely even have time to do my leisure readings! I hope that with this book subscription review, my momentum will keep on going to book reviews eventually! Anyways, I am so excited to show you Owlcrate’s November box! As soon as they announced the theme was ‘Wonderland,’ there’s no doubt as to what the featured book was going to be for me. This is probably my favorite box this year! Let’s get started! 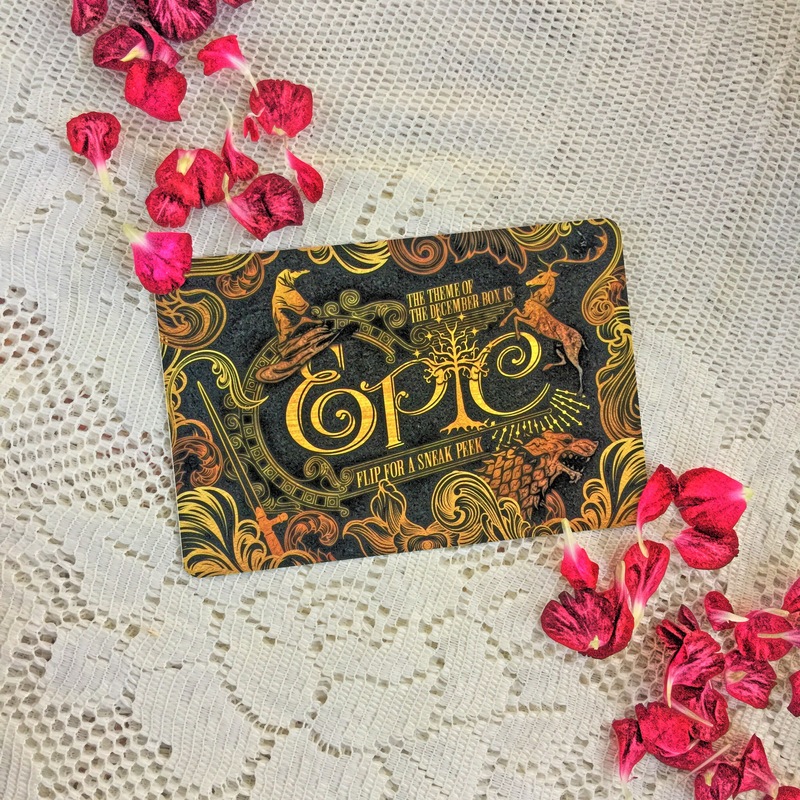 Once again, the lovely Evie Seo designed another exclusive item for Owlcrate! This time, it’s an Alice magnet! 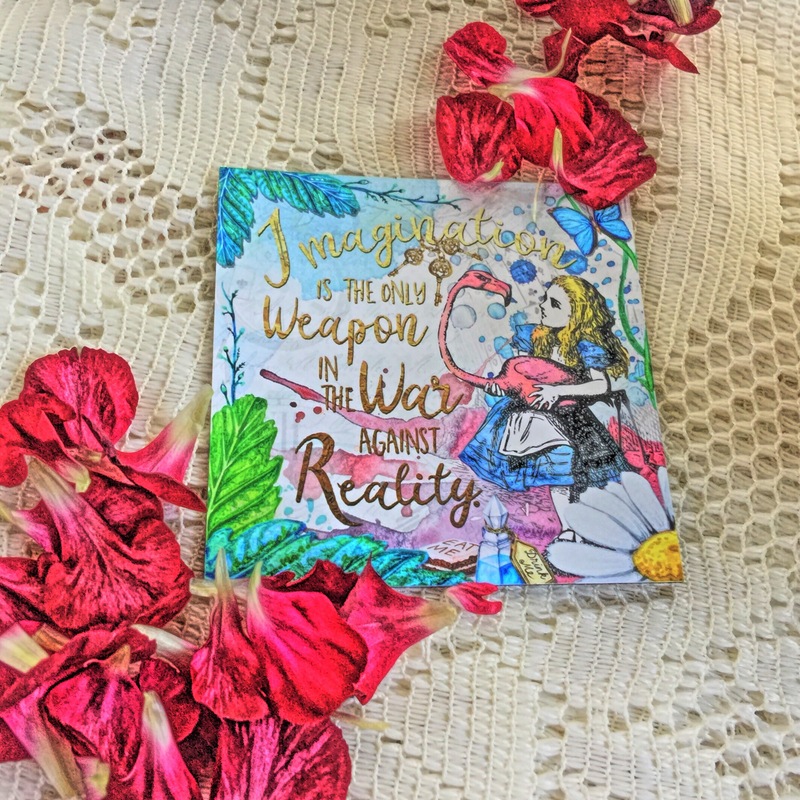 She makes the best bookish items! My wallet suffers greatly every time she introduces a new design- it’s a sweet kind of pain for sure. 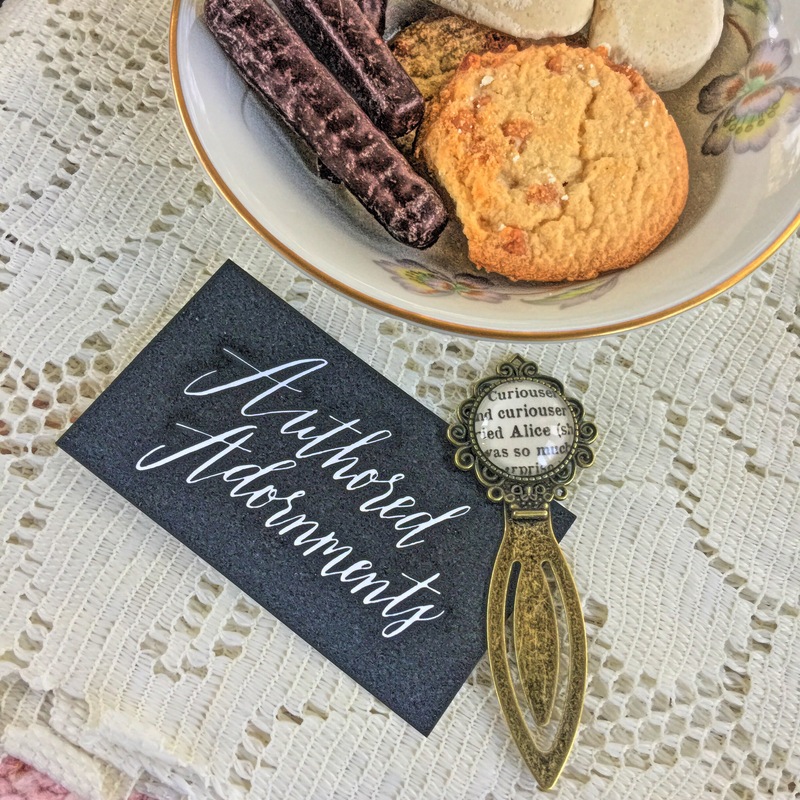 Next is a hand made bookmark by Authored Adornments! This is also exclusive to this box and I love how my design included the iconic Cheshire quote! Yes, say no more! We get two books for this month! This is the second time I’ve received a book from Rock Paper Books! They are an independent publisher that redesign classic books with a more modern flare. 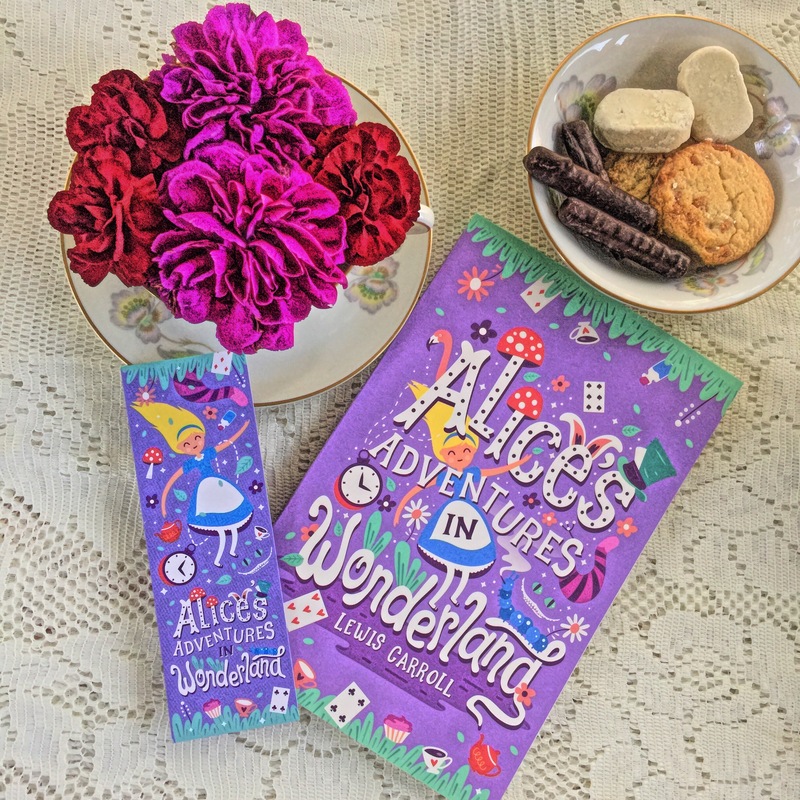 This super cute cover of ‘Alice’s Adventure in Wonderland’ and a matching bookmark are designed by Risa Rodil! I’m so in love! I am not going to lie. This is probably my favorite goody from the box. I was squealing when I pulled it out! 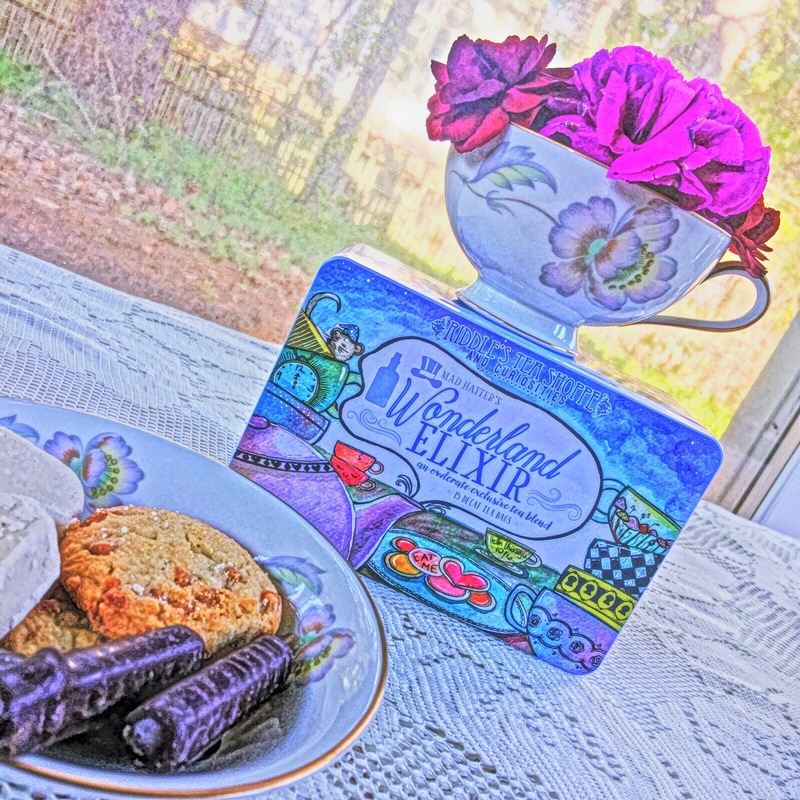 Subscribers actually get a full tin of tea instead of just a sampler! 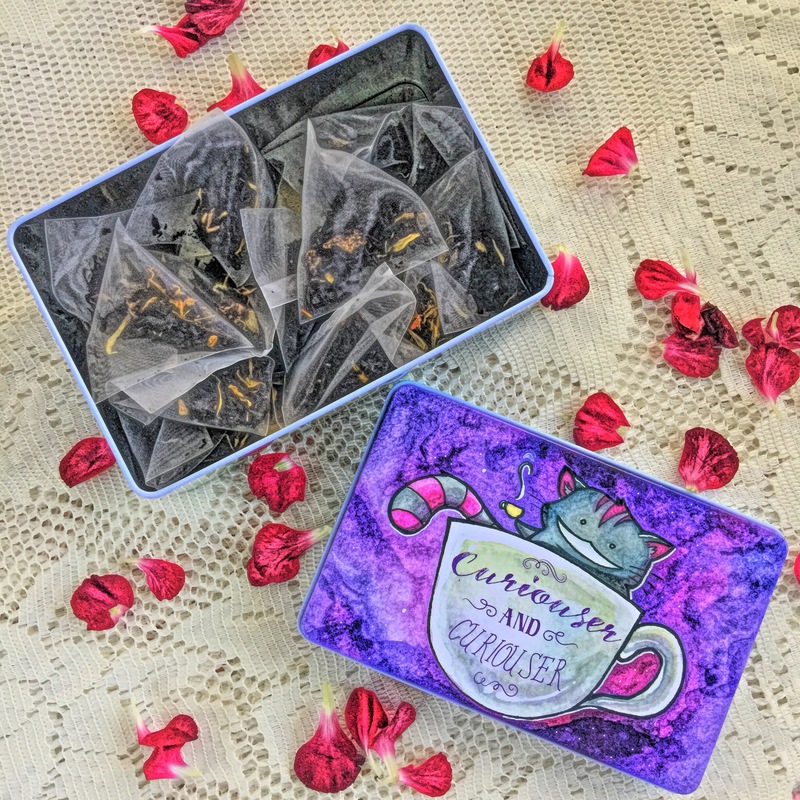 Also, this is not just any tea blend…this is especially made by Riddle’s Tea Shoppe just for this month’s Owlcrate, wow! If you didn’t know, I am a tea enthusiast- I love drinking it to bits! While I do drink coffee, I prefer tea over it. Look how cute the design is for the under lid! As soon as I opened the tin, the tartness of apples, apricots, peaches and oranges, the sweetness of vanilla and the spiciness of cinnamon, ginger and clove assaulted my senses. I just wanted to keep sniffing but my friend was giving me the side eye, haha! Anyways, while I’ll be sad to finish this tea up, I’m also quite content to reuse the tin for my small paraphernalias or even more tea. 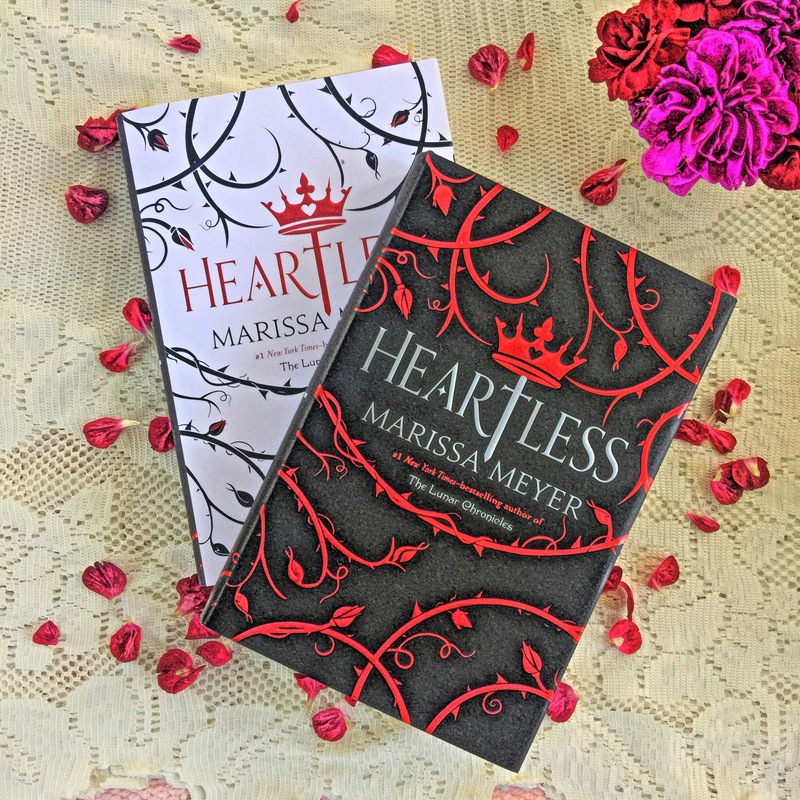 Last is the newly released book by Marissa Meyer, ‘Heartless’. This is a retelling of the untold story of the the infamous Red Queen. Again, I’d like to remind you that I have a soft spot for villains- I just know this isn’t going to be rainbows and roses for her. People tend to forget that the baddies weren’t born evil; circumstances made them into who they are now. I feel so vindicated when I read books like these because I know from the start that there was a normal person in that villain once who had dreams, hopes and wishes before tragedy struck them. This is a stand alone book so if you’re hoping for a series, then we’re out of luck on that front. Notice anything different? If you mean the cover, then you’re absolutely correct! This white dust cover is exclusive only to this month’s Owlcrate box and I am so sorry if you missed out. This cover is too gorgeous! As usual, you get a note from the author and a bonus quote card. Here’s the original version with the black dust cover for comparison. I love how dramatic they look next to each other! Like the White and Red Queen forever at odds with one another. 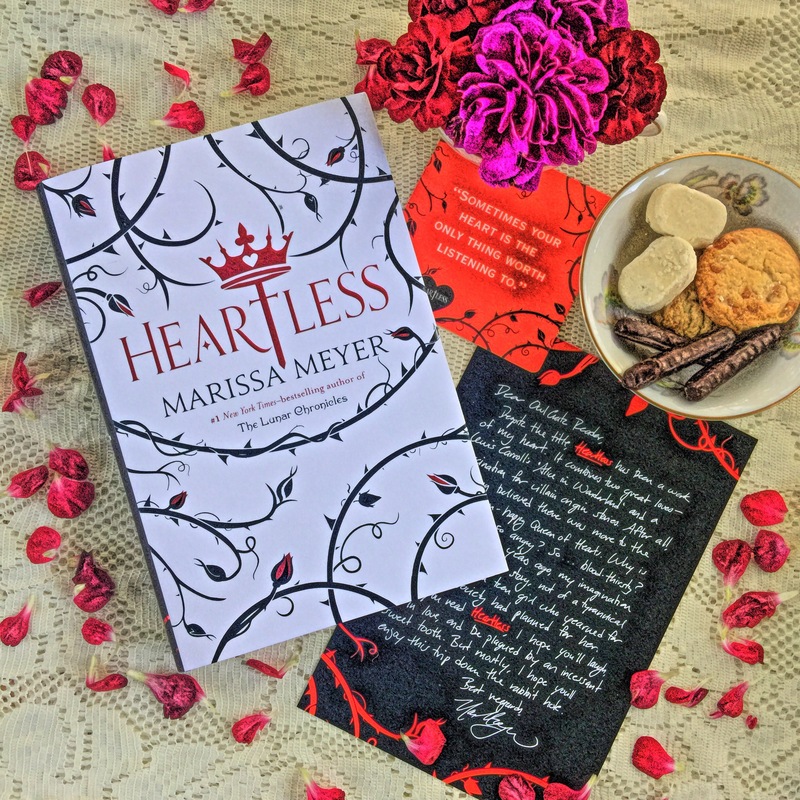 It’s just too bad that I didn’t receive this box in time for Marissa’s book signing tour. That’s alright, though! I’m sure I’ll be seeing her again. There are many new things in store for us fans like the upcoming Lunar Chronicles Coloring Book and the graphic novel ‘Wires and Nerves’. FYI, Marissa’s next series for 2017 will be about superheroes, yay! If you don’t want to miss out on the next Owlcrate, then know that the December theme will be all about Epic things! I can just imagine Tolkien awesomeness, magical Wizarding items and Game of Thrones stuff will be happening in this box. Don’t miss out because this box will be epic, haha! 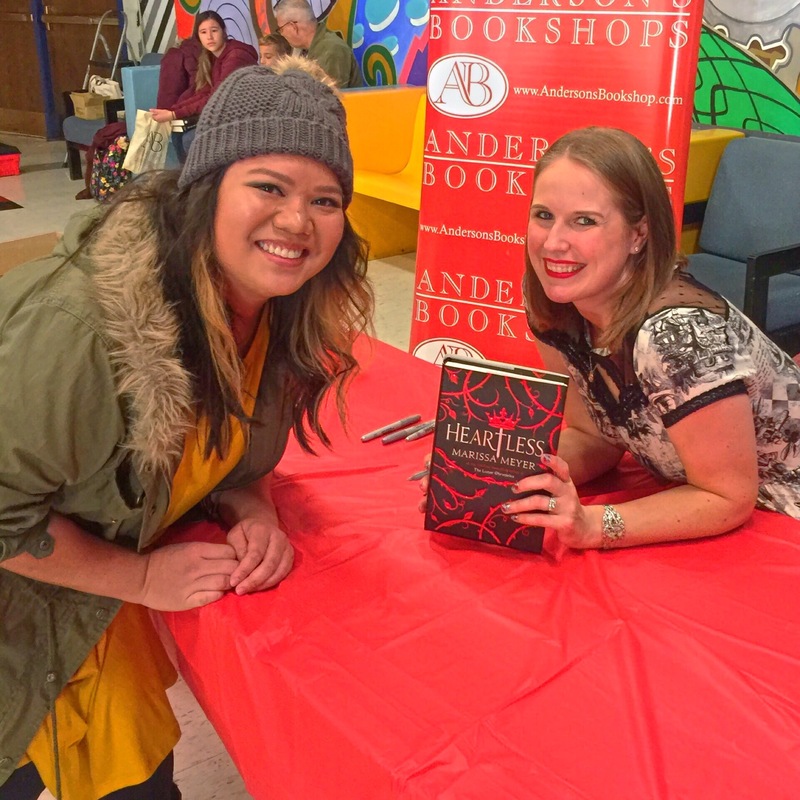 Here’s cozy looking me during the ‘Heartless’ booksigning! It was so much fun because there were cookies and lemonades to be eaten, games to be played and meet ups with bookish friends! Also, if you have an Instagram, I am doing a giveaway to celebrate reaching a 1.5k following! Three lucky participants will win one book of their choosing with accompanying bookish item! 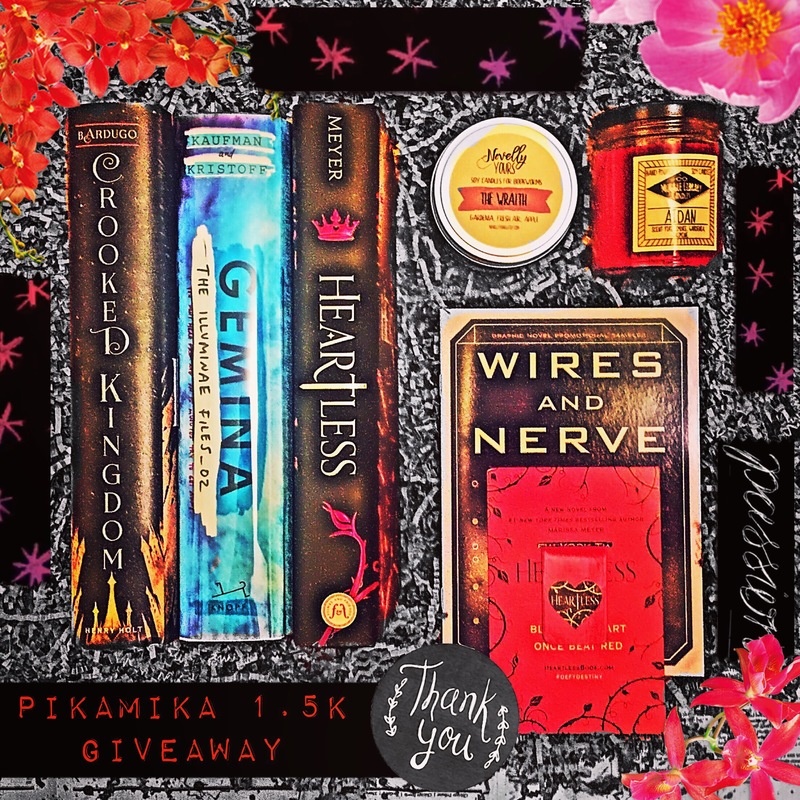 If you want to try your luck, head on over to @pikamikareads for more details! Until next time, friends! Apologies for the super late reply! Gemina was alright for me. It really is like the twin of Illuminae that many of the plot points were parallel. Because of this, the story became predictable and not as exciting. Plus I didn’t like the heroine as much. I follow you. Could you check out my blog too ? Really appreciate the reply! Oh I didnt know that. Any idea how to fix it?? No, it’s set on private.